We do not collect information from visitors of our site, or other details to help you with your experience. The Ministries uses such identifiable information collected to continually improve the content of its Web site and to offer its visitors products and services that best meet their preferences, needs, or desires. In so using this information, the Ministries is able to refine their Web site and enhance the benefits it offers. How does Beautiful Jesus Ministries Ministries use your information? In short, beautifuljesusministries.com does not collect personally identifiable information about you, such as your e-mail address, name, home or work address, or telephone number, except when you specifically provide such information on a voluntary basis, such as when registering at the Ministries Web site, or requesting material from it. When possible, the Ministries also collects anonymous demographic information, which is not unique to you, such as your ZIP code, age, gender, preferences, interests, and favorites. (c) act under exigent circumstances to protect the personal safety of users of the Ministries or the public. Ministries Web site uses “cookies” to help you personalize your online experience. A cookie is a text file that is placed on your hard disk by a Web page server. Cookies cannot be used to run programs or deliver viruses to your computer. If you leave a comment on our site you may opt-in to saving your name, email address and website in cookies. Cookies are uniquely assigned to you and can be read only by a Web server in the domain that issued the cookie to you. One of the primary purposes of cookies is to provide a convenience feature to save you time. The purpose of a cookie is to tell the Web server that you have returned to a specific page. For example, if you personalize the Ministries’ pages or register with the Ministries’ site or services, a cookie helps the Ministries recall your specific information on subsequent visits. This allows the Ministries to deliver messages and material more specific to your needs and to simplify the process of recording your personal information, such as your billing address, shipping address, and so on. These cookies will last for one year. When you return to the same Ministries Web site, the information you previously provided can be retrieved so you can easily use the Ministries’ features that you customized. You have the ability to accept or decline cookies. Most Web browsers automatically accept cookies, but you can usually modify your browser setting to decline cookies if you prefer. Your internet browser is designed to warn you each time a cookie is being sent so that you can choose to turn off all cookies. These preferences may be updated through your browser settings. Since browser is a little different, look at your browser’s Help menu to learn the correct way to modify your cookies. If you choose to decline cookies, you may not be able to fully experience the many valuable interactive features of the Ministries’ website services or websites you visit. All product names, logos, and brands not owned by World Healing Center Church or Beautiful Jesus Ministries are property of their respective owners. All company, product and service names used in this website are for identification purposes only. Use of these names, logos, and brands does not imply endorsement. Beautiful Jesus Ministries, along with third-party vendors such as Google use first-party cookies (such as the Google Analytics cookies) and third-party cookies or other third-party identifiers together to compile data regarding user interactions with ad impressions and other ad service functions as they relate to our website. You agree to the terms and conditions outlined in this Terms and Conditions of use Agreement (“Agreement”) with respect to the Beautiful Jesus Ministries website (the “Site”). This Agreement constitutes the entire and only agreement between us and you, and supersedes all prior or contemporaneous agreements, representations, warranties and understandings with respect to the Site, the content, products or services provided by or through the Site, and the subject matter of this Agreement. This Agreement may be amended by us at any time and from time to time without specific notice to you. The content, organization, graphics, design, compilation, magnetic translation, digital conversion and other matters related to the Site are protected under applicable copyrights, trademarks, registered trademarks and other proprietary (including but not limited to intellectual property) rights. The copying, redistribution, use or publication by you of any such matters or any part of the Site except for sole use of preaching the Word of God or further spiritual development, is strictly prohibited. You must cite Beautiful Jesus Ministries or Daniel Gelyana. You do not acquire ownership rights to any content, document or other materials viewed through the Site. The posting of information or materials on the Site does not constitute a waiver of any right in such information and materials. Unless otherwise stated, Beautiful Jesus Ministries and/or its licensors own the intellectual property rights in the website and material on the website. Subject to the license below, all these intellectual property rights are reserved. You must not conduct any systematic or automated data collection activities (including without limitation scraping, data mining, data extraction and data harvesting) on or in relation to this website without Beautiful Jesus Ministries express written consent. You must not use this website for any purposes related to marketing without Beautiful Jesus Ministries express written consent. You’re responsible for keeping your account name and password confidential. You’re also responsible for any account that you have access to and any activity occurring in such account (other than activity that Beautiful Jesus Ministries is directly responsible for that isn’t performed in accordance with your instructions), whether or not you authorized that activity. You’ll immediately notify us of any unauthorized access or use of your accounts. We’re not responsible for any losses due to stolen or hacked passwords that are caused by or result from your negligence. We don’t have access to your current password, and for security reasons, we may only provide you with instructions on how to reset your password. We have the right to update any of your contact information in your account for billing purposes. In addition, you represent and warrant that all information you provide to us when you establish an account, and when you access and use the Service, is and will remain complete and accurate. Access to certain areas of this website is restricted. Beautiful Jesus Ministries reserves the right to restrict access to [other] areas of this website, or indeed this entire website, at Beautiful Jesus Ministries discretion. If Beautiful Jesus Ministries provides you with a user ID and password to enable you to access restricted areas of this website or other content or services, you must ensure that the user ID and password are kept confidential. Beautiful Jesus Ministries may disable your user ID and password in Beautiful Jesus Ministries sole discretion without notice or explanation. You grant to Beautiful Jesus Ministries a worldwide, irrevocable, non-exclusive, royalty-free license to use, reproduce, adapt, publish, translate and distribute your user content in any existing or future media. You also grant to Beautiful Jesus Ministries the right to sub-license these rights, and the right to bring an action for infringement of these rights. Your user content must not be illegal or unlawful, must not infringe any third party’s legal rights, and must not be capable of giving rise to legal action whether against you or Beautiful Jesus Ministries or a third party (in each case under any applicable law). Beautiful Jesus Ministries reserves the right to edit or remove any material submitted to this website, or stored on Beautiful Jesus Ministries servers, or hosted or published upon this website. Notwithstanding Beautiful Jesus Ministries rights under these terms and conditions in relation to user content, Beautiful Jesus Ministries does not undertake to monitor the submission of such content to, or the publication of such content on, this website. By becoming a member, you confirm that the information provided in this form is true and that you agree to abide by the Terms and Conditions of use of this site. Please note that your membership can be cancelled without notice if it is determined that false or misleading information has been provided, the Terms and Conditions of use have been violated, or other abuses have occurred as determined by Beautiful Jesus Ministries in its sole discretion. If membership has been revoked, Beautiful Jesus Ministries reserves the right to refuse application or readmission to the membership program. Complies with the (CAN-SPAM) Act of 2003 and adheres to industry best-practices. Does not send unsolicited emails. Does not purchase email lists from third-party vendors. Does not share user or email data with any third-party. Only sends promotional or informational email to individuals who have specifically opted-in to receive them. You may unsubscribe from our email list(s) at anytime. You may update your email subscription settings at anytime. Beautiful Jesus Ministries uses MailChimp, a marketing automation and email marketing platform. Please review their policies and terms here. Beautiful Jesus Ministries provides a facility that enables users to send email, private, public or forum messages to other users on our ministry websites. Users must not use Beautiful Jesus Ministries properties to send unsolicited, bulk, promotional or indiscriminate messages, whether or not for a commercial purpose. Users who violate this policy will have their account terminated. You suspect someone posted material that violates any protected marks or copyrights. You find obscene or objectionable material posted by a website user. You receive threatening, harassing, promotional or unwanted contact. You have a concern regarding user generated content on any Beautiful Jesus Ministries web property. Promotional Communication.This means that you cannot promote ANY third party products. Beautiful Jesus Ministries has developed a Godly environment where partners can come to learn and grow spiritually. Promotion of discriminatory, hateful, or harassing content. The use of unwanted contact. To this end, we may suspend or terminate your account if you send negate correspondence or otherwise distribute any content that we determine, in our sole discretion, contains any or all of the above mentioned restrictions. If you violate any of these rules, we will terminate your account. These limitations of liability apply even if Beautiful Jesus Ministries has been expressly advised of the potential loss. matter which it would be illegal or unlawful for Beautiful Jesus Ministries to exclude or limit, or to attempt or purport to exclude or limit, its liability. Your right to use the Site is not transferable. Any password or right given to you to obtain information or documents is not transferable and may only be used by you. Please do not share login information with anyone. THE INFORMATION FROM OR THROUGH THE SITE ARE PROVIDED “AS-IS,” “AS AVAILABLE,” AND ALL WARRANTIES, EXPRESS OR IMPLIED, ARE DISCLAIMED (INCLUDING BUT NOT LIMITED TO THE DISCLAIMER OF ANY IMPLIED WARRANTIES OF MERCHANTABILITY AND FITNESS FOR A PARTICULAR PURPOSE). THE INFORMATION AND SERVICES MAY CONTAIN BUGS, ERRORS, PROBLEMS OR OTHER LIMITATIONS. WE HAVE NO LIABILITY WHATSOEVER FOR YOUR USE OF ANY INFORMATION OR SERVICE. IN PARTICULAR, BUT NOT AS A LIMITATION, WE ARE NOT LIABLE FOR ANY INDIRECT, SPECIAL, INCIDENTAL OR CONSEQUENTIAL DAMAGES. You represent and warrant that if you are purchasing something from Beautiful Jesus Ministries or any other Ministry digital property that (i) any credit card information you supply is true, correct and complete, (i) charges incurred by you will be honored by your credit card company, and (iii) you will pay the charges incurred by you at the posted prices, including any shipping fees and applicable taxes. As long as you’re a Partner or student with a paid account or otherwise have an outstanding balance with us, you’ll provide us with valid credit card information and authorize us to deduct the monthly charges against that credit card. You’ll replace the information for any credit card that expires with information for a valid one. If your credit card is automatically replaced with a new card by a payment processor, you acknowledge and agree that we’re authorized to deduct any charges on your account against the new credit card. Anyone using a credit card represents and warrants that they are authorized to use that credit card, and that any and all charges may be billed to that credit card and won’t be rejected. If we’re unable to process your credit card order, we’ll try to contact you by email and suspend your account until your payment can be processed. We welcome links to our websites [made in accordance with the terms of this linking policy. This linking policy is intended to assist you when linking to any website owned by Beautiful Jesus Ministries. By using this website you agree to be bound by the terms and conditions of this linking policy. Links pointing to this website should not be misleading and the appropriate link text should always be used. From time to time the URL structure of this website may be updated, and unless www.beautifuljesusministries.comagrees in writing. You must not link to this website using any inline linking technique. You must not frame the content of this website or use any similar technology in relation to the content of this website. This website includes links to other websites owned and operated by third parties. These links are not endorsements or recommendations. Beautiful Jesus Ministries has no control over the contents of third party websites, and accepts no responsibility for them or for any loss or damage that may arise from your use of them. You agree that, should Beautiful Jesus Ministries request the deletion of a link to our website that is within your control, you will delete the link promptly. If you would like Beautiful Jesus Ministries to remove a link to your website that is included on this website, please contact us. Note that unless you have a legal right to demand removal, such removal will be at our discretion. Beautiful Jesus Ministries may amend this linking policy at any time by publishing a new version on this website. When you purchase a digital product, you will gain instant access to those files via an email link. Because of the large volume of digital downloadable materials (such as e-books, notes, bibles, videos, audio, maps, images, and more) is non-refundable. If for some reason you are dissatisfied and depending on the specific circumstances, we may issue a coupon code for use on a Beautiful Jesus Ministries website equal to the amount of the original purchase price. Beautiful Jesus Ministries and our other websites are distributing much more digital content, including classic teachings, than ever before. Many of the archived videos, audio, books, articles, etc. come from many different broadcast series 3rd party television broadcasts, Periscope, Twitter, Facebook, YouTube, Vimeo and the Beautiful Jesus Ministries family of websites. In order to keep membership rosters current, if a member does not access his or her account for a period of 1 year or more, Beautiful Jesus Ministries may, in its sole discretion, terminate such member’s account. Beautiful Jesus Ministries will endeavor to notify a Member of intent to terminate such account by notice to such Member’s provided email address prior to deactivation. We strongly recommend that all Members keep their accounts and contact data current and in use. While Beautiful Jesus Ministries desires to prevent active accounts from being terminated prematurely, there is no obligation to maintain said accounts that appear to have been abandoned. Beautiful Jesus Ministries reserves the right to contact a member via email to verify the accuracy of account information (including the Member’s correct name and address) that is needed to provide the member with the information he or she requested. DO NOT post your personal physical address, email address, username, phone number in a public forum. Beautiful Jesus Ministries WILL NOT EVER ask for your personal or payment information in a public forum. By completing and remitting the information contained in the testimony or praise report form, you authorize and grant permission to Beautiful Jesus Ministries to use this testimony, all or in part in print, online, digital media on any website owned or operated by Beautiful Jesus Ministries, including social media websites, and/or televised or streamed broadcasts. You certify that you are providing this information to Beautiful Jesus Ministries of your own volition without any means of persuasion, influence, or coercion from ministry staff. You believe that you have experienced divine intervention from God, and any testimony or statement you make, and information you provide on the testimony or praise report form is accurate and truthful. Furthermore, you waive any right of privacy that you may have, and release Beautiful Jesus Ministries from any liability they may have in making use of this information. All letters, testimonials, or pictures submitted to Beautiful Jesus Ministries become the property of the ministry and will not be returned to the sender. By submitting letters, testimonials, or pictures, the person sending them agrees that Beautiful Jesus Ministries has the right to edit or revise the submission and publish it in the edited or revised format. Beautiful Jesus Ministries is under no right or duty to publish any particular submission. The person submitting a letter, testimonial, or photograph represents that he/she is the author or creator of the submission and consents and agrees to allow Beautiful Jesus Ministries to publish it. All donations are non-refundable, although depending on the circumstances, we may issue the requested refund. Digital products offered for sale are NOT refundable. Digital downloadable materials and enrollment in Beautiful Jesus Ministries online communities are non-refundable. If for some reason you are dissatisfied with your enrollment, and depending on the specific circumstances, we may issue a coupon code for use on a Beautiful Jesus Ministries website equal to the amount of the original purchase price however, we reserve the right to make adjustments to this policy without obtaining user submissions. The copyright in this website and the material on this website (including without limitation the text, computer code, artwork, photographs, images, music, audio material, video material and audio-visual material on this website) is owned by Beautiful Jesus Ministries. Beautiful Jesus Ministries does not grant you any other rights in relation to this website or the material on this website. In other words, all other rights are reserved. For the avoidance of doubt, you must not adapt, edit, change, transform, publish, republish, distribute, redistribute, broadcast, rebroadcast or show or play in public this website or the material on this website (in any form or media) without Beautiful Jesus Ministries prior written permission. Beautiful Jesus Ministries takes the protection of its copyright very seriously. 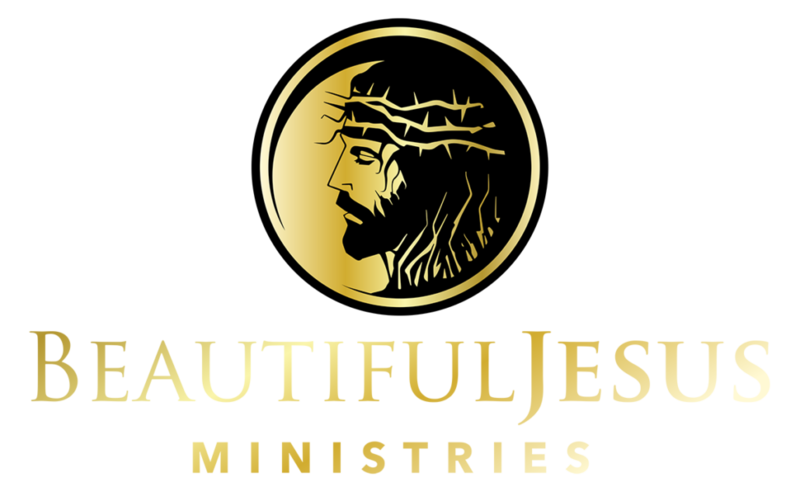 If Beautiful Jesus Ministries discovers that you have used its copyright materials in contravention of the license above, Beautiful Jesus Ministries may bring legal proceedings against you seeking monetary damages and an injunction to stop you using those materials. You could also be ordered to pay legal costs.